Coco Cake Land - Cakes Cupcakes Vancouver BC: Hoot Hoot! 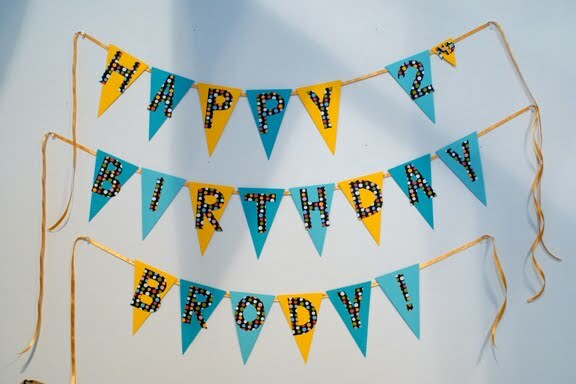 Brody Turns 2 Years Old! How cute is my little nephew Brody?? Not even these little orange cupcake owlies are half as cute as Brody! Awesome sign my sis Leanne made! 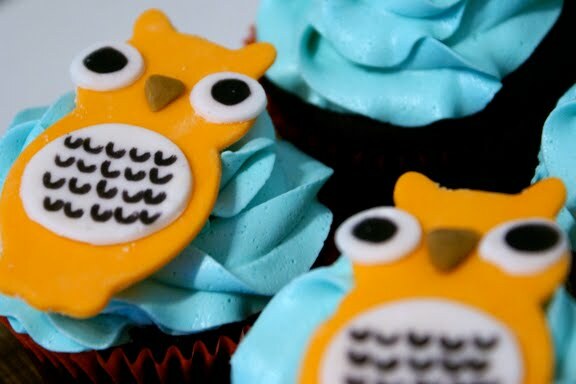 "I don't give a HOOT if I get eaten! No, really!" 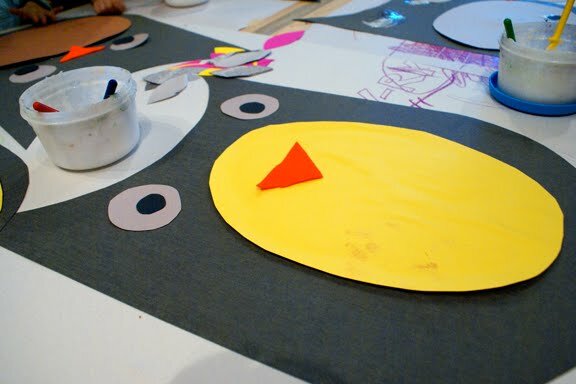 Adorable crafty arty owlies... kid's parties at Collage Collage are so cute and fun...! 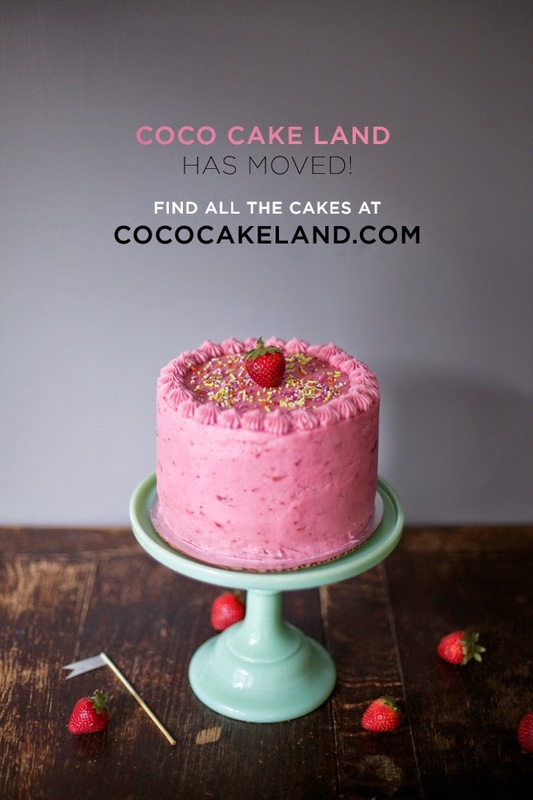 The work of Coco Cake, a.k.a L.K.S., also known as... "Auntie Lynsheee"
Hooray!! 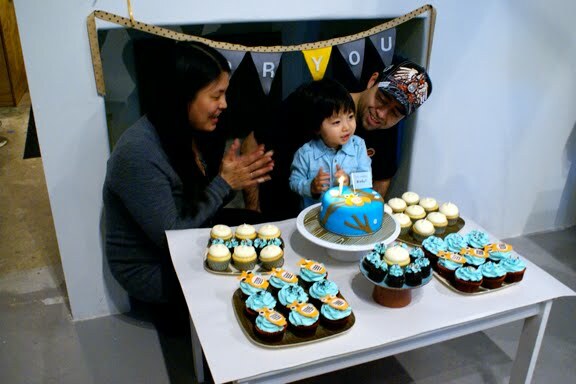 Happy Birthday singing with mama and dada! Wah! 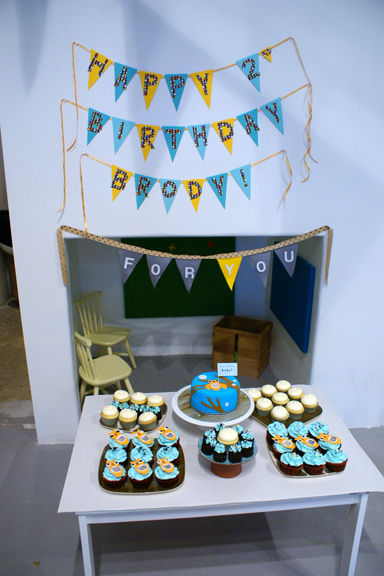 Hard to believe my little nephew Brody is now 2 years old... remember last year's Totoro birthday for his 1st birthday?? For his birthday, my sis Leanne-- who is a designer with her own awesome card design business Patches & Charlie-- devised a very cute woodsy winter owl theme for Bro's birthday! 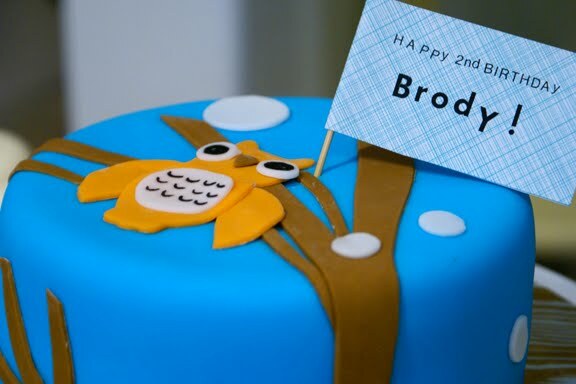 I of course went with this theme for Brody's cake and matching cupcakes... hoot hoot! Orange Owlie! I made sure to put a "ball moon" on the cake too, one of Bro's sayings. "Ball moon! Ball moon!" 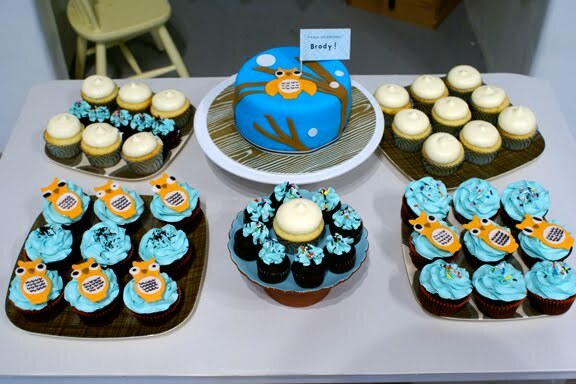 The cupcakes were chocolate with vanilla buttercream, and lemon cupcakes with lemon creamcheese frosting, a family fave. The cake was chocolate with vanilla and decorated with fondant. The party was held at the super lovely shop Collage Collage, with an owly storytime session and an art making session where the kids (with the help of adults!--2 year olds here!) made adorable giant grey owls. Brody loved his kids party...! And I love my hilarious and supercute nephew BroBro! Happy 2nd Birthday Brody! Oh I love the colour scheme - so gorgeous! 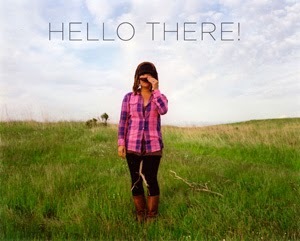 I've been reading your blog for a while now and have never commented, but just had to today! 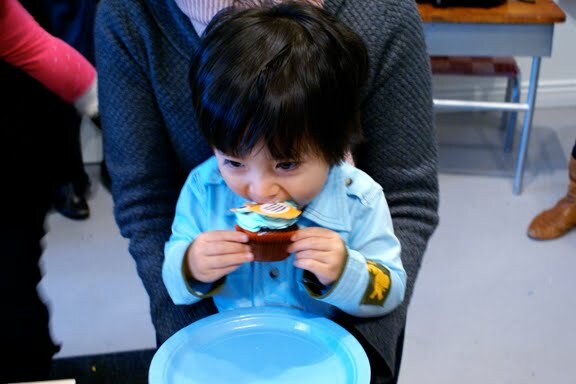 Your nephew is oh-so-cute and the cake and cupcakes were awesome, as always! 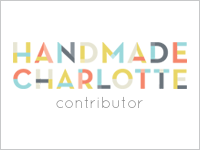 Love your creations and your blog!! EG! thank you so much... and i totes appreciate your comment... ~ i loved making stuff for my fave (and only so far!) adorable nephew... ! What a cutie pie! 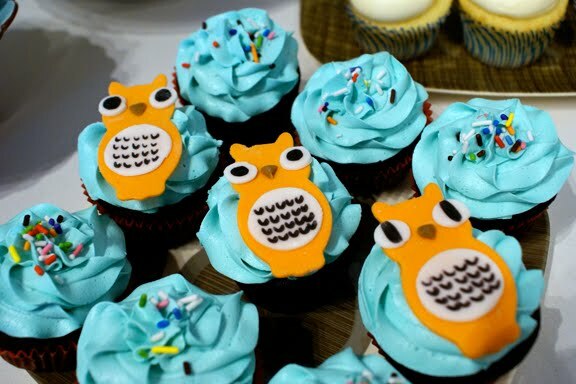 That is such a great theme for a winter birthday, I just love your little owls! Awesome cake yet again! Soooo cute! I have a question.. do you make your own fondant..and do ppl EAT it? Or do they pick it off. I find I have this issue with store bought fondant.. but I have never attempted home made stuff. So I guess what I wondered..is fondant mostly for show? i use a commercial fondant from a local supplier for my fondant work. you certainly can make your own! a simple recipe is for marshmallow fondant, if you google it you can find a recipe. some people love to eat the fondant... others leave it behind... so it's really a personal preference! i personally prefer to eat only buttercream, but people are always requesting fondant, and as a decorator it certainly is fun to work with. i think fondant can work as well as buttercream. i'm not a snob in either direction. both are fun to work with, both require specific skills sets, and both can make beautiful and cute decorations! 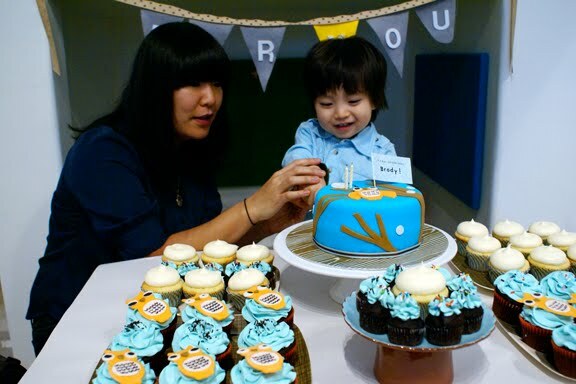 Hi, I stumbled on this post while searching for ideas for my son's owl-themed 1st birthday party! I love the modern simplicity of the cake plates / platters...do you happen to know where these were purchased? Thank you! Hi kathleen! They belong to my sister, and I'm pretty sure she got them at Target a few years ago, Orla Kiley for Target? I don't think they carry them anymore... They are great though, aren't they! ?